Duck Creek Farm is a beautiful pastoral landscape, which some people describe as a fairytale setting. The picturesque ponds, tipi, fields full of organic veggies growing and dwarf apple orchard set the stage for romance and fun. Located in a valley surrounded by trees, guests feel sheltered and relaxed as they step into the ambiance the natural setting provides. The wisteria-covered trellis in front of the house provides a charming stage for speeches and entertainment. Come feel alive in this unique and inviting setting! The facilities found in this farm wedding venue include 13 acres of farmland with 2 greenhouses, 80 fruit trees, and gardens. Their tent setups can be easily rented to accommodate up to 80 guests for a wedding reception. 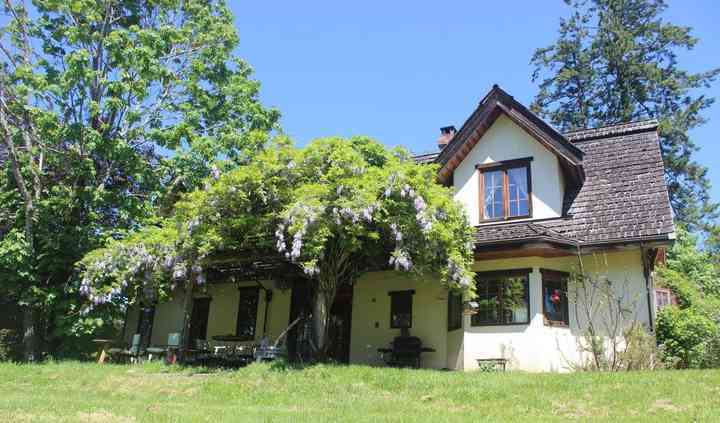 Use of the farm includes access to the main floor of the farmhouse, including kitchen, washroom for elders, children and wedding party, and two outhouses available for other guests. 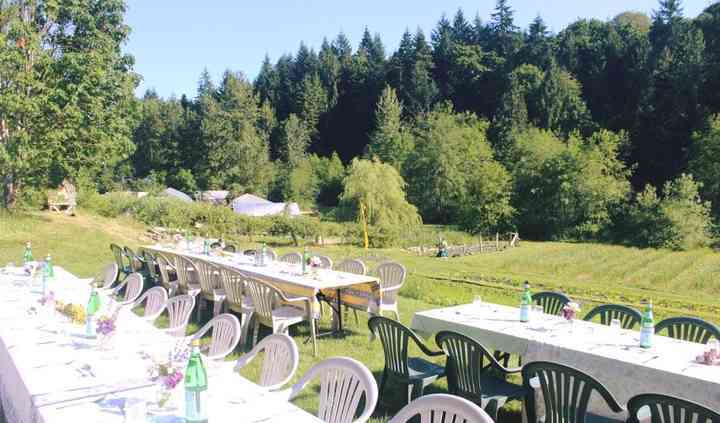 Guests also have the option of staying in their on-site accommodation (One tipi and campground all included) or staying at another of Salt Spring’s wonderful rental options. Duck Creek Farm also produces a delicious array of organic vegetables, which can be purchased by your caterer. A 20' wide octagonal wooden yoga platform with tent overlooks the pond. It offers a second option for wedding ceremonies, gathering or morning yoga the next day! Duck Creek Farm was our perfect wedding venue. We were able to hold an intimate ceremony down by their pond, at the bottom of the organic produce fields and a large reception for about 120 people. Our ... Read more rentals, caterers and guests were accommodated with ease and professionalism. We easily set up our sound system and lighting as well. There were so many unique and beautiful places to have photos taken, every thing about this farm just draws you in. 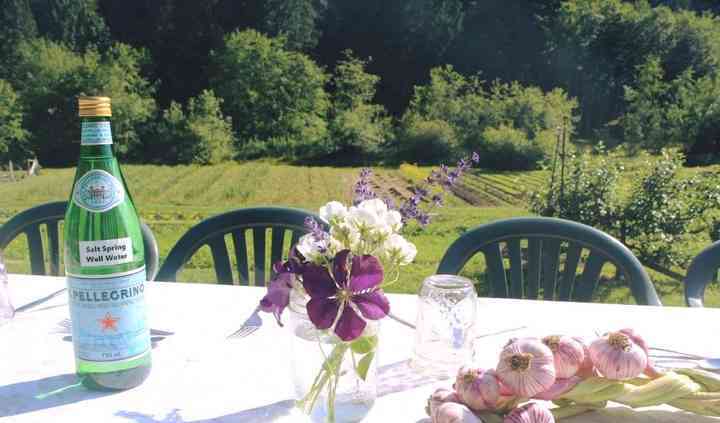 The owners of the farm hold space for you in a way that is nurturing, loving, kind and respectful. It is a place of pure magic.